Would you like to dance with life? 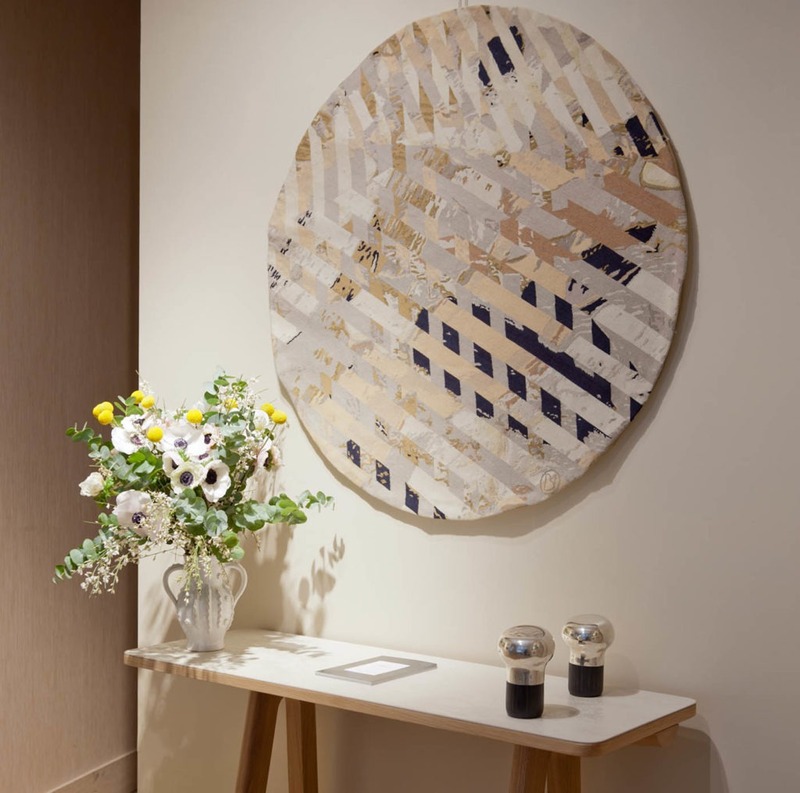 Look, listen, feel…Marie Bastide has suffused this collection with murmurs, tremors and multiform vibrations. Marie Bastide wished for a “benevolent and universal” collection and it is offered here as an expression of a world heartbeat, the vitality of life which swathes us and galvanises us. The Signatures Collections are a series of encounters between Diurne’s excellent technical craftsmanship and the artistic universe of a contemporary designer. Each chapter is a new expression of light and colour, a new link between yesterday and today, another hypothesis for the rug as object. In this collection, inspired by primitive mythologies. Marie Bastide weaves the connections between nature and emotion. The colours are jubilant, movement is ubiquitous and light penetrates between the shadows The collection can be qualified as mystical, terrene, baroque. In fact it is a little of all that; Marie Bastide has a gift for injecting a form of brutal instinctive expression into the sophistication of her delicate and elaborate compositions. 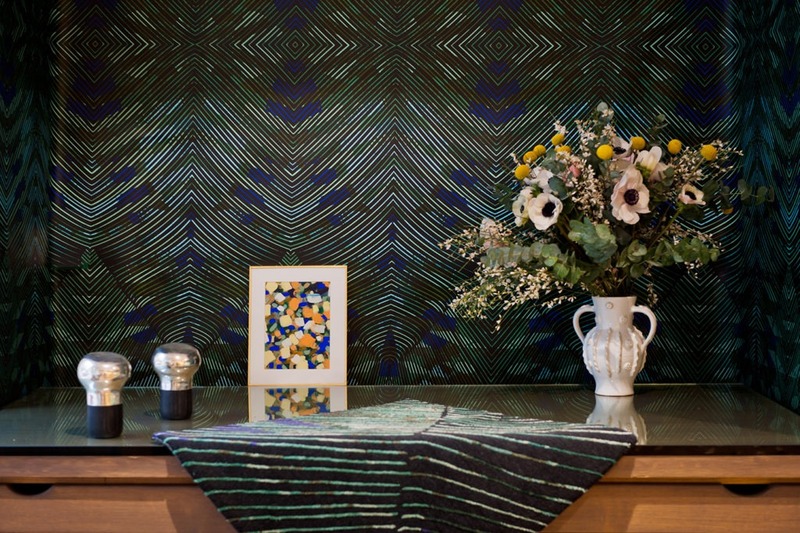 Trained in Decorative Arts in Paris and at theUIAH/TAIK in Helsinki, Marie Bastide chose textile design to assert her unique and powerful graphic universe. 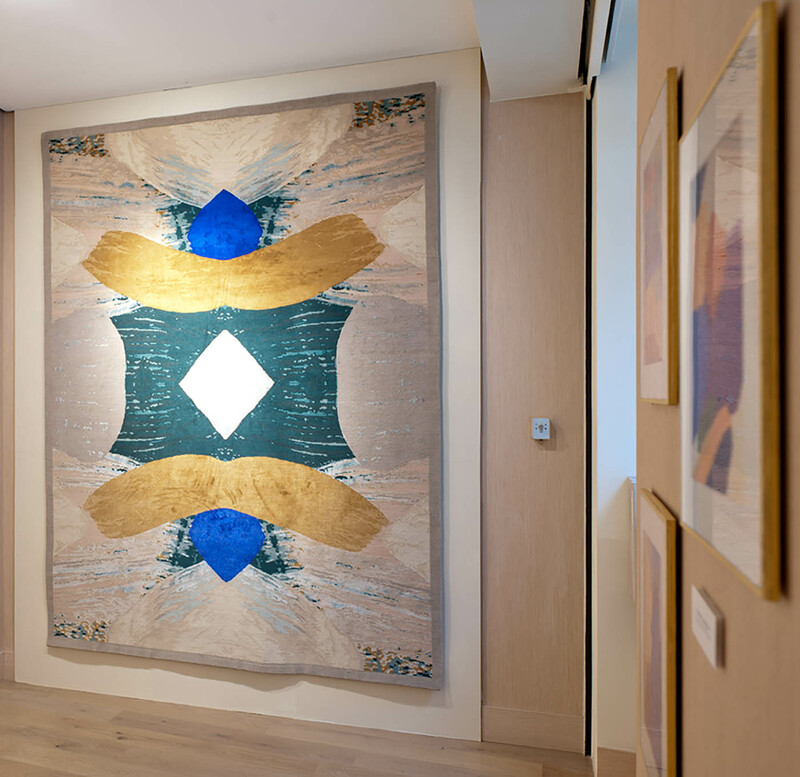 A bold colourist she plays on harmony and contrast forever seeking out the fragile “dissonant balance” which is at the origin of the reverberation in these rugs, these “sensual works of art”, works which give us the freedom to tell our own stories. The Origines rugs draw us into a world of perceptions; abounding in energy and finesse. Each decorative piece conjures an eternal primitive force such as light (Eos), the wind (Horus), the earth (Yvy), forests (Dryads)… A weave, a rhythm, an emotion seems woven into each of these heavenly rugs; a sudden dip in a falcon’s flight, the soft twilight of a dawning day or the capricious trembling of a breeze in the leaves. 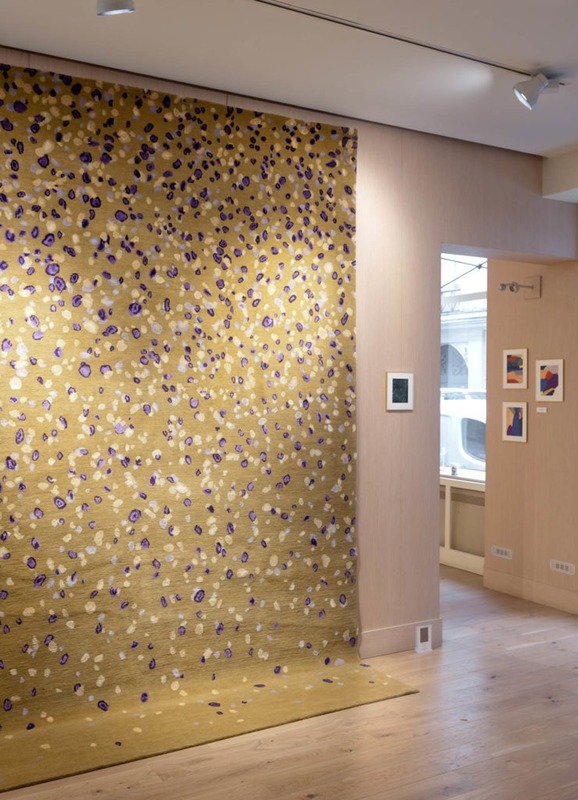 Movement, ever present in Marie Bastide’s work can be glimpsed amongst the elongated or irregular shaped swathes of colour and is organised in a play of mirrors or dances haphazardly depending on the compositions. Scale is transformed, we jump from the infinitesimally small feather (Yoku) to the infinite vastness of the cosmos (Uranie). 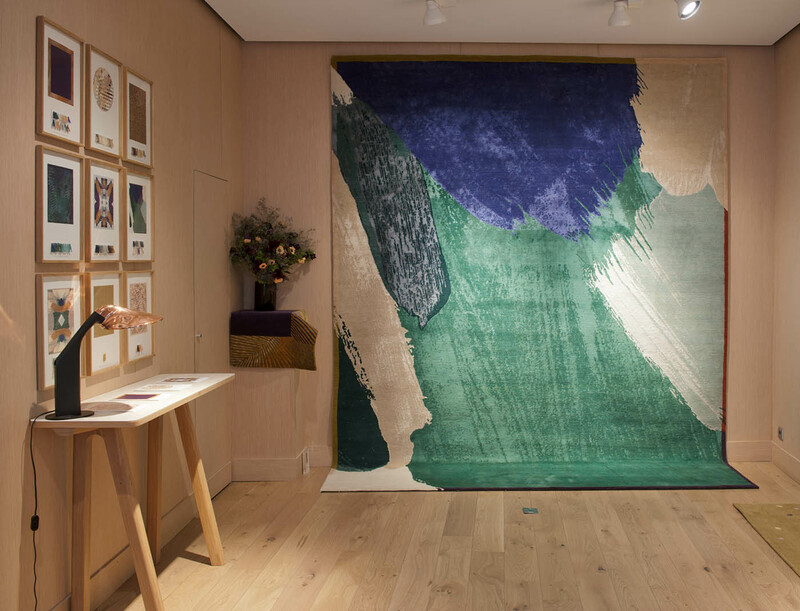 The Origines rugs draw us into a world of perceptions; abounding in energy and finesse.